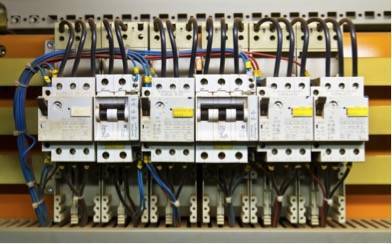 Switchboards are the central hub of all power – is your switchboard to standard? Fully Wired Electrical can help with all your electrical switchboard upgrades and inspections. A switchboard is where all the electrical breakers are housed. The main supply from Energex is received in the switchboard, and is then distributed by the various circuits. The switchboard electrical integrity is therefore key to ensuring no issues or safety concerns occur to the property, home, business. The switchboard is beginning to fall apart, becoming a hazard whereby circuits become loose. When the switchboard is mounted on uncompliant materials. This includes asbestos panels or chipboard. Ceramic fuses or old breaker (more than 15years old) are still being used. These often begin to stick or crack and do not work as intended. Switchboards installed older than 2000 were not required by legislation to have safety switches installed. 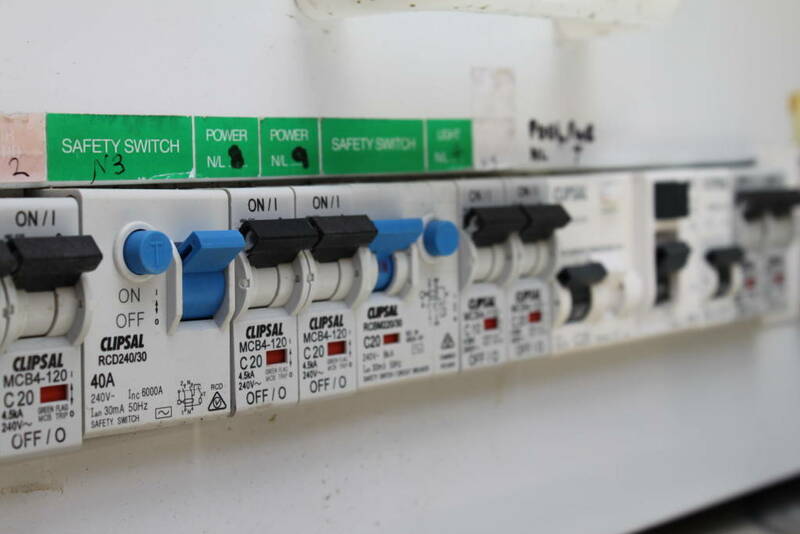 Safety switches should be installed on lighting and power circuits to ensure protection of the property. Extensions or additions of your home or business where the switchboard load needs to increased, may result in the switchboard becoming overloaded if it is not upgraded. Modern living means that there are a lot more appliances which required more electricity from the switchboard. To reduce the risk of electrical fires as the switchboard will have been upgraded to the current safety standards, which include the required safety switches and circuit protection. Residential switchboard upgrades – Switchboards for a standard home usually contains a few meters and household circuits. It is important to ensure an electrician is called to inspect a switchboard before and after any home renovation to ensure the load capacity of the switchboard is not exceeded. Commercial upgrades – Commercial switchboards generally contain larger circuits (including 3 phase circuits). These switchboards are designed to handle higher loads, so safety and regular inspections are vital. Switchboard upgrades are often required when a new tenancy is taken over, therefore the requirements the business may place on the switchboard needs to be considered. Body Corporate Upgrades – Multiple units meters and circuit breakers are housed in a main switchboard in a body cororpate building. As well as this they also house all community circuits. It is important to ensure that the switch board is in good condition as it could affect multiple units. Consumer mains upgrades (1-3 phases) – Consumers mains are the cables that connected the main point of attachment (Energex’s service) to the main switch board. These cables need to be a big enough size to handle the full operating load of the main switch board. Our homes rely on our switchboards to receive and distribute the electricity safely around to our power points and appliances. Switchboard inspections by a qualified Fully Wired electrician gives you the peace of mind that all circuits and safety switches are in working order. A switchboard inspection is recommended whenever you move into a new home, are renovation, or having constant power faults. Safety switches, located within a switchboard, are the little protectors who carry a lot of duty. Home owners can easily test if a safety switch is working themselves by simply pressing the test button (“T”). A working safety switch will trip and turn the circuit off. If you have completed this test and the safety switch is not working as expected, please call for an electrician to complete a switchboard inspection on 1300 38 55 99. Just remember, homes built before 1990 did NOT have a mandatory safety switch installed on the lighting circuit, potentially putting these homes in danger as they are not compliant with the current Australian standards. If you are not sure if your switchboard has the necessary safety switches, please call or email our Fully Wired team on info@fullywired.com.au and we can come and provide a free quote. Are you looking to renovate or need to expand your electrical capacity? Get one of our qualified electricians to take a look at your switchboard and help provide you with the information and help you need. Call 1300 38 55 99 today!